On Thursday, February 15th, I flew to California to attend Rev. R.J. Rushdoony's funeral. I was picked up at the Fresno airport by my good friend Marshall Fritz, president of the Alliance for the Separation of School and State, who also invited me to stay at his home during my three-day visit. The funeral was to be held the next day in Kingsburg, about 30 miles from Fresno. I had met Rev. Rushdoony in 1984 at a conference in Denver, after I had written "Is Public Education Necessary?" The writing of that book turned me into a Calvinist. Rushdoony had read the book and had praised it highly, and thus it was quite a thrill for me to become acquainted with the world's leading Calvinist theologian. Rushdoony also was impressed with the work I had done on reading instruction by intensive phonics. He made me a member of Chalcedon, the original think-tank of the so-called Christian right, which he had founded. He told his readers that I was the world's leading authority on phonics. While I am not the boastful kind, I heartily agreed! The last time I had been in that area of California was in 1988 when I was traveling through the San Joaquin Valley on a lecture tour, driven by my host David Morris. We stopped off at a town in the valley because I wanted to visit an elementary school in that town for a very special reason. My friend Sue Dickson, author of a very fine phonics program, had told me that her program was being used in an elementary school in that town and that the children were learning to read beautifully with phonics. This was at the time when whole language was being introduced in the schools of California and I had written an article in my newsletter critical of that decision. I predicted that whole language would produce a literacy disaster for that state. Of course, I was not listened to. And so we walked into the school and met the principal, a young woman in her early thirties, who told me how successful the phonics program was. She told me that all the children were learning to read, including the Latino kids from migrant farm worker families. I was delighted. Here, at last, was a public school that was teaching the children to read in the correct phonetic manner. I was impressed with the courage of the young principal who had taken it upon herself to find a program that worked, even though she had to pay for it out of her own pocket. She had been taught a whole-word approach by her professors at college, and they told her that one-third of the children would never learn to read. But in her search for something better, she discovered phonics and decided to try it. It worked better than the whole-word method. I told Marshall the story of that visit and suggested that we might visit that school again on the way to the funeral. I was anxious to see if phonics was still being taught. So Marshall called the school, got hold of the principal, and told her that I was in the area and that we wanted to stop by for a quick visit. She was delighted and told us to come on down. She remembered who I was and would be pleased to see me. But she said she'd be busy at assembly and therefore gave us permission to go directly to a first-grade classroom without her. So Marshall and I set out for Kingsburg, stopping off at the nearby town for our visit. The school was clean and cheerful. We knocked on the door of the first-grade classroom. It was opened by a young male teacher who was in the process of tutoring one of the children at his desk when we interrupted. He had been told of our visit and welcomed us. I asked about the reading program, and he told us that it was basically whole language, with some phonics as needed. The classroom was typical of today's first-grade room: children seated around tables, chatting with one another. Each child had his or her own individual education plan. The walls were covered with the usual posters and pictures. The teacher, now a facilitator, had been tutoring one child at his desk while all the others were busy doing something else. Finally, our principal came into the room. We greeted each other warmly. She told us that they were no longer using Sue Dickson's phonics program but were now using whole language and Reading Recovery, a remedial program from New Zealand based on whole language methodology. "The children are learning," she said. "They are doing well." Although I was disappointed, I tried not to show it. So Marshall and I left knowing full well that our once courageous principal had caved in to the powers that be. Who could blame her? Had she protested, she would have been easily replaced by a more compliant team player. But what all of this told us is that whole language is too well entrenched in the schools of California to be dislodged by the proponents of intensive phonics. Yes, the educators had admitted that whole language was the cause of the state's literacy problem, and the state legislature had mandated some pro-phonics programs, but none of that seemed to make any difference at the local level. Did the principal know that the kids were being deliberately dumbed down with whole language? Probably not. As long as this was what the state wanted, she had to believe that the bureaucrats at the department of education were just as eager as she was to have good reading instruction for the children of California. By the way, if you've wondered why I did not identify the town, the school, or the principal is because the whole-language mafia is very unforgiving. Any principal who would allow Sam Blumenfeld and Marshall Fritz into one of her classrooms would be putting her career in jeopardy. We then went to the funeral service at a church in Kingsburg, after which we drove in the procession to the cemetery. A large number of people were in attendance. Pastor Steve Schlissel, a Jewish convert to Calvinism from Brooklyn, performed the interment service. This was an extraordinarily moving service for an extraordinary man of God. Rev. Rushdoony would have enjoyed hearing my story of the visit to the school in the valley. For years he had strongly urged Christian parents to take their children out of the public schools and home school them or place them in good Christian schools. He was a champion of educational freedom because he knew that religious freedom could not exist without it. In his book, "The Messianic Character of American Education," first published in 1963, he recognized that the war between humanism and Christianity was a struggle unto death, and that the humanist control of the public schools gave the enemies of Christianity a decided advantage over believers. My book, "NEA: Trojan Horse in Education," covered much of the same territory as did Rushdoony's book, but from a different angle. Therefore, we were in concert on all matters pertaining to education, home schooling, the need to get government out of education. In this respect, we were radicals, not conservatives. The word radical is derived from the Latin word for root. What we wanted was the educational freedom that Americans enjoyed before the government got involved in the education business. Marshall Fritz agreed with Rushdoony and me. Marshall is a Catholic and is the product of the separation of school and state: the Catholic schools. Catholics created their own education system because they didn't want their children to be proselytized in the Protestant controlled public schools. But now that the public schools are controlled by humanists, it's time for Protestant parents to get their children out of the public schools and do their own educating. If readers would like to get on the mailing list of the Chalcedon Report, write to Chalcedon, P.O. Box 158, Vallecito, CA 95251 or visit their web site at http://www.chalcedon.edu/. Also ask for a catalog of Rev. 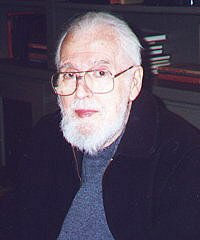 Rushdoony's great books.